In 2007, 33-year-old Vuyile moved to Cape Town from rural South Africa in search of work. Unable to complete high school, he worked as a night shift security guard earning $500/month to support his family. During the rush hour commute from his home in Khayelitsha, Vuyile realized that he could earn extra income by selling prepaid mobile airtime vouchers to other commuters on the train. In rural areas, it’s common to use prepaid vouchers to pay for basic services such as electricity, insurance and airtime for mobile phones. But it’s often difficult to distribute physical vouchers because of the risk of theft and fraud. 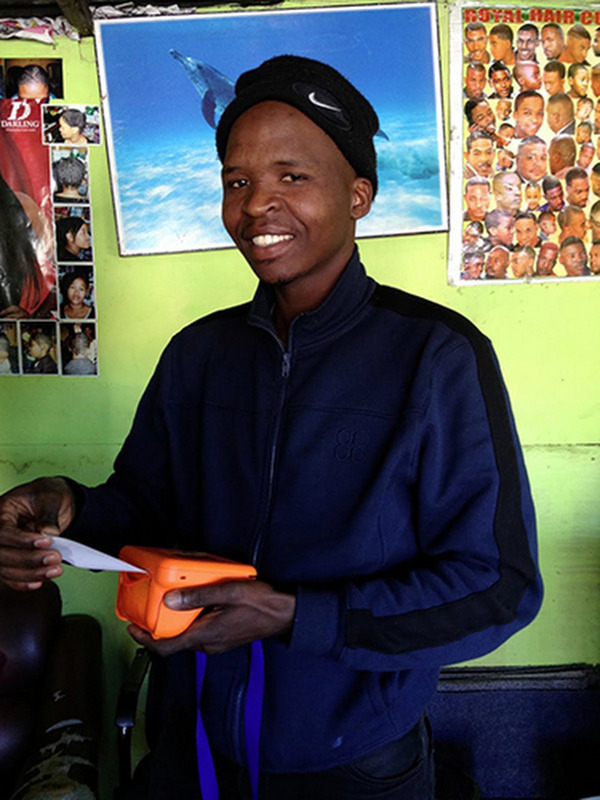 Nomanini, a startup based in South Africa, built a device that enables local entrepreneurs like Vuyile to sell prepaid mobile services in their communities. The Lula (which means “easy” in colloquial Zulu), is a portable voucher sales terminal that is used on-the-go by people ranging from taxi drivers to street vendors. It generates and prints codes which people purchase to add minutes to their mobile phones. Today, Vuyile sells vouchers on the train for cash payment, and earns a commission weekly. Since he started using the Lula, he’s seen his monthly income increase by 20 percent. Nomanini founders Vahid and Ali Monadjem wanted to make mobile services widely available in areas where they had been inaccessible, or where—in a region where the average person makes less than $200/month—people simply couldn’t afford them. By creating a low-cost and easy-to-use product, Nomanini could enable entrepreneurs in Africa to go to deep rural areas and create businesses for themselves. In order to build a scalable and reliable backend system to keep the Lula running, Nomanini chose to run on Google App Engine. 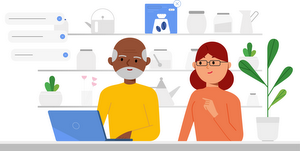 Their development team doesn’t have to spend time setting up their own servers and can instead run on the same infrastructure that powers Google’s own applications. They can focus on building their backend systems and easily deploy code to Google’s data centers. When Vuyile makes a sale, he presses a few buttons, App Engine processes the request, and the voucher prints in seconds. To learn more about the technical implementation used by Nomanini, read their guest post on the Google App Engine blog.